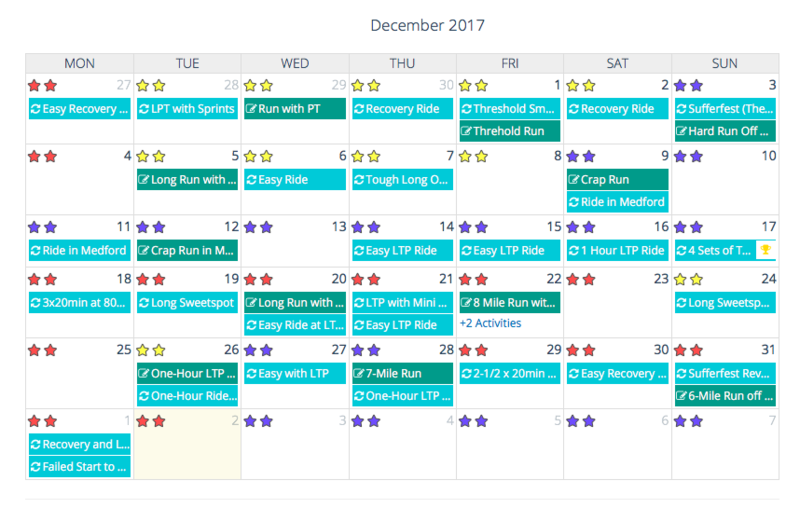 This my overdue third post on using Xert to track my cycling and running fitness. This post discusses how to add running into the mix. My first post in this trilogy described why Xert is such a useful product. 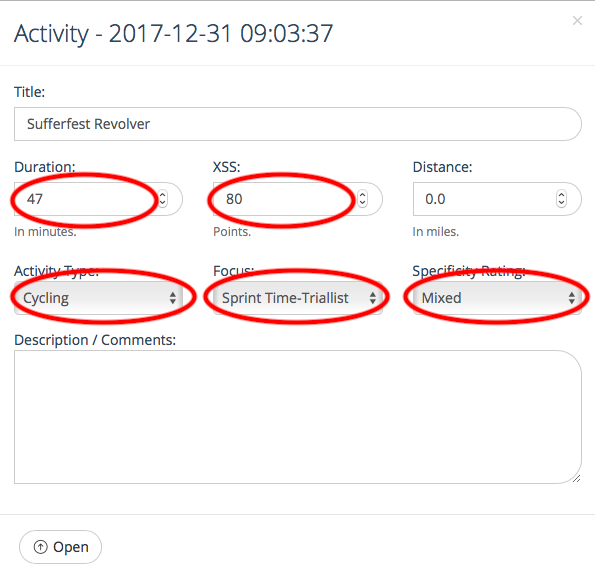 In my second post, I wrote about using Xert smart workouts to turn Xert into the world’s smartest coach as well as integrating those features into Zwift to give you a really a fun and super-effective workout. If your only sport is cycling, those posts pretty much tell you all you need to know. But most of you are multisport athletes and this post talks about how to incorporate Xert to all of those other sports. This post is specific to running– but it could apply just as easily to any other endurance sport where power measuring technology is common (e.g. rowing). In a nutshell, you’ll need a Stryd running power meter (or other reliable running power meter). You’ll also need a second Xert account dedicated to your running data because “running power” and “cycling power” are two entirely different sets of numbers and power-duration curves. Lastly, you’ll need to make sure to delete out automatically uploaded workouts that go to the wrong account (e.g. cycling data that goes into your Xert running account and vice-versa) but also manually add those workouts back in (using data from the right account– e.g. cycling data from your Xert cycling account) so you can properly track fatigue and strain. Got all that? If not, read on and it will become clear as day. I tend to be an early adopter with sports technology and Stryd was no exception. Since my early posts, however, Stryd has come a long way. Modern sport watches by Garmin and other manufacturers can record running power just like cycling power. You’ll need to jump through a few special hoops to get power meter data recording properly, such as loading the ConnectIQ app on your watch, setting up a special field in your running data to display that data, and setting your Stryd as your running footpod. Admittedly, it is a bit of a headache, but the folks at Stryd have detailed instructions for just about every watch out there. If you did everything right and you’re using a Garmin device, you should see new running power data in Garmin Connect. In the photo on the left, you can see the new section for “Power” in this running data file. 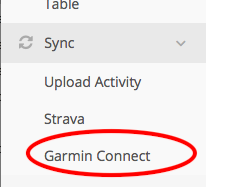 In Xert, you can also link your account to Garmin Connect, so once a file gets uploaded to Garmin Connect, it magically goes automatically to Xert. To do that, just expand the “Sync” menu in Xert (it’s on the left sidebar) and select “Garmin Connect”. 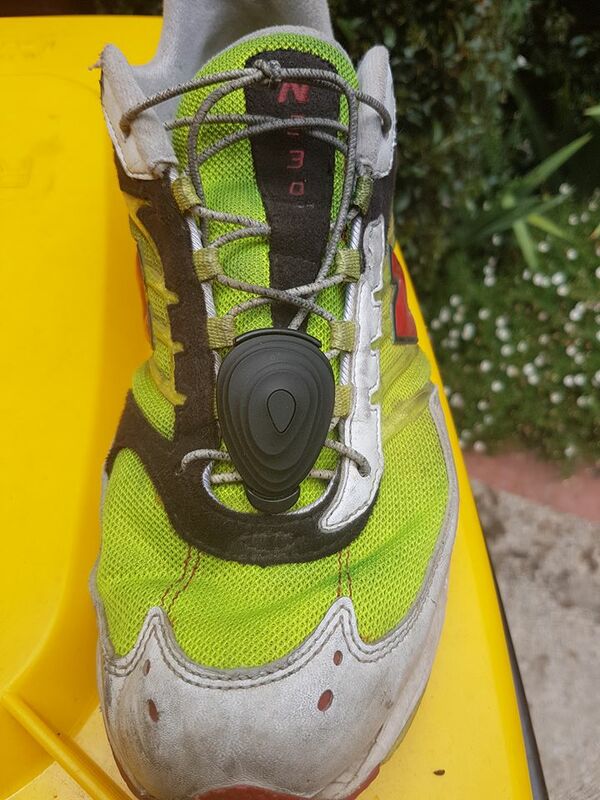 What about other running power meters? Well, first off, running power meters are really in their infancy and no one can really say whether Stryd is more accurate than any of the others out there. DC Rainmaker has been doing a great job tracking the development of this industry. When Garmin recently added running power their RUN-HRM heart rate sensor, his review included some comparison data between the Stryd, Garmin, and RunScribe units. His general feeling was that Stryd provided the most internally consistent data whereas the Garmin and RunScribe units were more volatile– but whether any unit is more “accurate” was anyone’s guess. I read “consistent” data to mean “precision” and there is a world of difference between “accuracy” and “precision”. For my purposes, as long as there is moderate degree of precision and data roughly correlates with trends in actual wattage, I’m good with it. Why? Because I really don’t care whether my power meter shows 300 watts running up a hill or 250 watts, as long as that data is consistent and reflects a harder effort than going at the same speed on the flat (although running 250 watts on the flat and on hills feels the same). Even if my data is spiked 200% at the same effort compared to a different power meter, the consistency (or “precision”) means that I can get a useful power-duration curve, regardless of the actual values on that curve. So, for purposes of using Xert, Stryd wins for me. But the most important thing is to not switch between running power meters. The same holds true for cycling power meters if you’re truly obsessed with power (there are always slight variations between power meters) but in the case of running power meters, it’s completely apples and oranges between two running power meters (fortunately, if you follow a sport with more accurate power measurement– such as rowing– you probably won’t have to worry about this). As you probably guessed, at this stage of the game, running power is a bit less accurate than cycling power. But, even if it were super-accurate, there still isn’t any reason to assume, for instance, that your peak one-hour running power would be the same as your one-hour cycling power. Similarly, there isn’t any reason to assume that your sprinting power is anywhere close between the two sports. While running and cycling use roughly the same muscle groups, they use them in entirely different ways. Compared to my cycling power, my sprinting power is much lower for running but my functional threshold power is about 40 watts higher. In other words, I have a much “flatter” power duration curve for running. If I uploaded all of my workout data directly in the same Xert account, my data would become an utter mess. So that means, setting up a second Xert account for running and then manually deleting the cycling workouts from my running account and deleting the running data out of my cycling account. Xert makes this a relatively painless task. The way I do it is to go to the “table” view under “activities” (on the left menu bar). This will bring up a table of activities. Mine is sorted in reverse chronological order and you can click on the tiny arrows at the top of the columns to do the same thing. Then, I click on my latest activity and it will show you what sport the workout is associated with based on your watch setting when you originally recorded the data. In this case, the picture at the left shows that it is a running workout. And, if I were in my cycling Xert account, I could delete it right there and Xert will make sure that my fitness signature isn’t messed up by running data. As multisport athletes, we work out super-hard yet we put in far fewer hours in the saddle (or in our running shoes) than single-sport athletes in each sport. Nevertheless, all that “cross training” definitely affects our fitness and our overall fatigue! Xert is fantastic at tracking fitness and fatigue, so it makes sense to get a fuller picture of this by tracking all your sports at once– and the way to do that is to add your running workouts to your Xert cycling account and vice-versa. “But wait,” you might say, “didn’t you just tell me to delete my cycling data from my running account and delete my running data from my cycling account?” Well, yes, I did. We certainly don’t want to contaminate our accounts with errant data that will throw off our fitness signature. But we do want to capture the overall volume, strain, and specificity of those workouts. To do this is a little tricky so I’ll walk you through it step-by-step. First, let’s assume that I’m in my Xert cycling account. Now, click on “fitness planner” link. It is on the left menu bar under “Activities” (you may have to expand the menu to reveal it). If you go down on the page, you’ll see a calendar that shows your activities (shown in the image on the right). In this picture, there are a bunch of cool features. For instance, the number of stars on each date shows your training load (a sign of overall fitness) and the color of those stars reveals whether your tired or fresh on that day. This is very cool and I’ll talk about it in a future post. Also notice that I have light blue boxes and darker green boxes under each date– although, to start, yours will likely all be light blue. The light blue ones are loaded automatically from your device and the green boxes are activities you manually added. Next, let’s look at December 31 (you can click on the image to enlarge it). Here, you’ll see two activities. Let’s click on the light blue box because we know that’s a cycling activity synced from my bike computer. This will bring up a window that shows a summary snapshot of your bike workout (shown at left). The data that we need are all the items circled in red– the duration, the XSS (strain), the activity (cycling), and the focus and specificity rating (overall specificity). This is the data that you’ll need to put into your Xert running account for the same date. Why is this information useful to your running account while the synced data from your bike computer wasn’t? Because this data shows the impact that this workout had on you as a cyclist. By contrast, the original synced data from your bike computer would be irrelevant to you as a runner. For instance, because my FTP is much lower in cycling than in running, a long hard workout at a high wattage is going to show up as a much higher XSS score in my cycling account than in my running account. Also, because my sprint power is much higher in cycling, a gentle workout with a few moderate sprints on my bike will look like I was racing Usain Bolt in my running account and skew my focus towards being a pure sprinter. At the end of the day, Xert uses the five metrics above to determine the overall impact of a workout in that sport— so is the information we want to capture. Next we have to add that data to my Xert running account. To do that, I log out of my cycling account and log into my running account (hint: one way to make this simple is to have nearly identical usernames and keep the passwords the same between the two accounts). 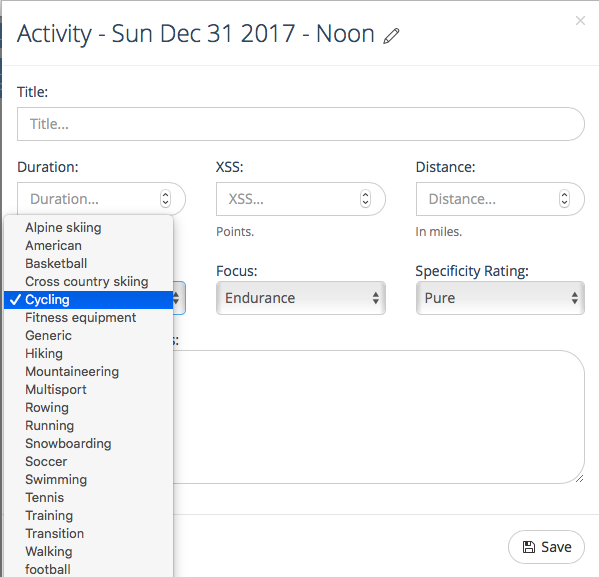 Then I click on a blank space on December 31 in the activity planner and a blank activity dialog box shows up. Here, I add in all the details that I captured from my Xert cycling workout into the dialog. As shown in the photo on the right, be sure to use the dropdown menus to change to set everything correctly. You’ll also want to change all of the other setting to match the dialog box from your bike workout. — plus add in all the relevant numbers from the bike workout. When you’re done, click on the “save” button in the lower right corner. Congratulations! You just added your first manually added activity (dark green) into Xert. Now, Xert will also automatically recalculate your fitness and freshness in the fitness calendar and throughout Xert. Now make sure to repeat all of these steps to get your running data into your cycling account. I know what you’re thinking– this is really a hassle. Certainly, it is a hassle setting up the first time and also the first few times you do it. But it also becomes second nature and it goes super quick for me now. And the benefits are well worth it because it gives me an objective coach’s view into my fitness and fatigue. Plus, as I’ll describe in an upcoming post, a great tool for helping me decide what my workouts should be. In fact, I have to say that my training has been more consistent than it has been in the last decade thanks to Xert– with or without a coach. The guys at Xert keep promising to make the product more friendly to multi-sport athletes. To my mind, it wouldn’t be that hard– it would just have to filter out MPA’s and fitness signatures by each sport but combine the data for overall fitness and fatigue metrics. In other words, do exactly what I’m currently doing by hand. But there’s no sense waiting for Xert to add this feature when it can be done pretty easily here and now. Wow, that’s a lot of data, Boris! Stay tuned for Xert to come out with the “multisport” version that will hopefully filter out the sports and won’t necessitate entering all the data manually. One rough guide is that an hour all-out is 100 XSS (just like TSS). In fact, I might just use your TSS score. XSS is really good for taking into consideration fatigue and varying effort. I bet if you’re completely at steady state, TSS and XSS will be pretty close.